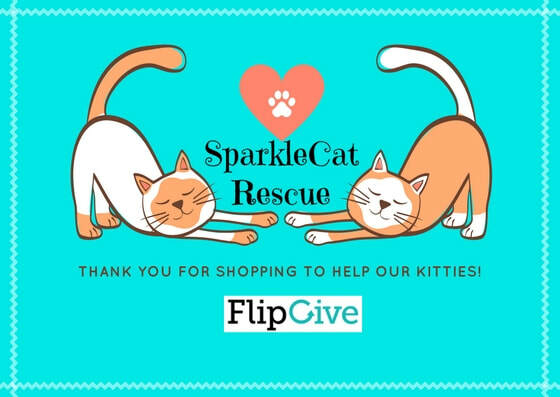 Sparkle Cat Rescue has joined FlipGive to help earn money for our rescue! With this partnership we will set up fundraisers from time to time. Please JOIN OUR TEAM! Help Sparkle Cat Rescue earn even more! Download FlipGive Max Add FlipGive Max to your browser, you'll be reminded to activate your cash back while you shop. Get FlipGive Max today for Chrome, Firefox, or Safari. Know someone else that could use FlipGive? Refer them and if they create a team and raise $20 you'll both earn a bonus $20! 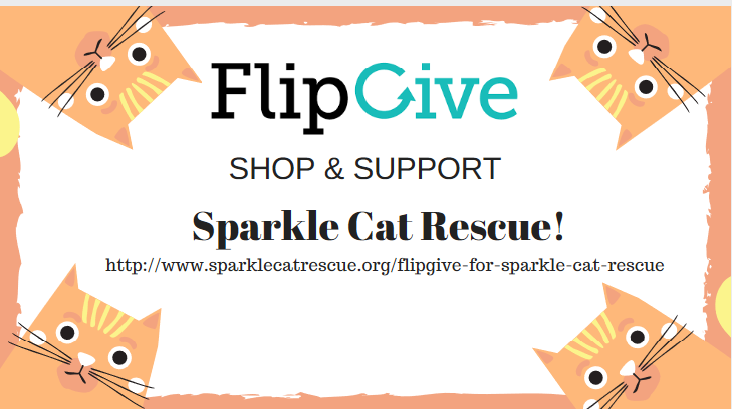 Help Sparkle Cat Rescue earn even more by sharing our store to you friends and family. When they shop their purchases will earn our rescue additional cash back.